With EC, much of the system is driven by the Foundation Objects (FO). Below is a list of the majority of the standard delivered FO – with the new release of EC in May, you can even have customized FO if the standard delivered objects do not meet your company’s need. There are some initial configurations that will need to take place during the initial implementation, such as determining the attributes associated with each FO. Each FO has different fields define which you can choose to utilize or, if they do not meet your need, you can also combine the standard delivered fields with customize different fields for each FO. With a mixture of strings, numbers and dates, you can define up to 30 custom fields per FO! In addition to that, you can customize foundation objects per country – for example, you may want EEO codes associated with Job Codes in the US, but not with any other country. Notice that the Business Unit is effective dated. FO in EC are effective dated hence as your business change over time, EC can support this. On this screen, you can specify the Business Unit ID, Business Unit Name, Description, Active (or Inactive) and Head of BU. If you added any custom fields to the Business Unit, you will also see those fields on this screen as well. You can also specify the required fields, as denoted by the (*). EC also embodies the concept of Association. What this allows you to do is to define the type of relationship this FO has with other FO. EC supports one-to-one association as well as one-to-many association. In our example, Business Unit can be associated with many Companies. You can see the multiple companies we have in the screen shots below. Now that your Business Unit has been created, you can search for your Business Unit by entering the Business Unit ID you defined or by the Business Unit name. Simply select Business Unit in the “Search” drop down, and start typing in the BU ID or the BU name. For example, by typing in “AC”, this will bring up a list of all Business Units with the code “AC” such as ACE_STORE or with the name containing “AC” such as Manufacturing. The creation and maintenance of foundation objects are truly in control by your HR Administrator. Changes such as creating a new company, changing business addresses, changing head of a business unit are now all within your control. 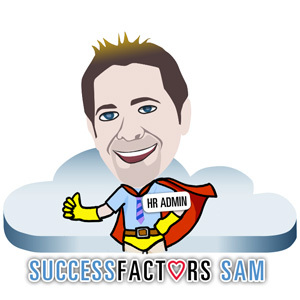 SuccessFactors Sam appreciates that by empowering HR to make these changes, it streamlines the SuccessFactors maintenance process, centralizes responsibility, all while improving the company’s efficiency and data accuracy. Those are some great questions. EC only allows 2 type of associations: 1-to-1 and 1-to-many. As part of the initial configuration of your Corporate Data Model, you can specify whether each FO should have a 1-to-1 vs. 1-to-many relationship and this will control how the FO are related to each other. By specifying each Business Unit can have one Company code, you’re not restricting the number of Business Units each Company can have. There is a 1-to-1 relationship between the Business Unit-to-Company code, but not vice versa. However, unless specified otherwise, Legal Entity does not have an association with Business Units. As you can see from below, there is no association specified for the Legal Entity-to-Business Units. Regarding end dating foundation objects, this differs a little from SAP in that each object does not have a direct “End Date.” However, you can Effective Date when the object becomes “Inactive.” In this example below, you can see this Legal Entity was created on 1/1/2013 but was made Inactive on 5/31/2013. This entry was posted in SuccessFactors Sam and tagged EC, Employee Central, SuccessFactors. Bookmark the permalink.